Late in the day and early in the summer, Tiburon had a sleepy vibe. Though Friday night may bring people, most have evidently not yet left work; with the exception of a pedestrian or two, it felt like I had the town to myself. 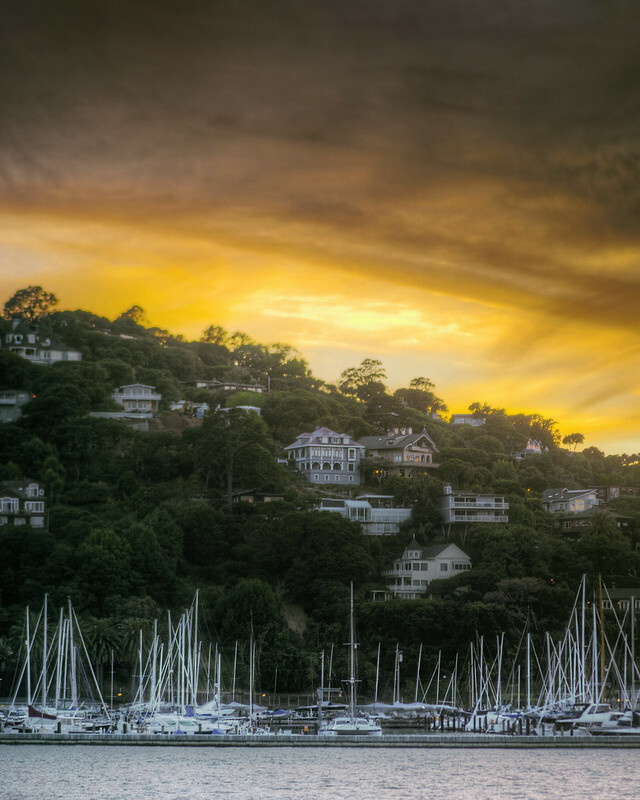 Though I’m sure both the homes and the boats of Tiburon cost dearly for their charming setting, it’s easy to forget all of that when the sun is going down and a cool breeze is blowing in the from the San Francisco Bay. That little gray house in the middle with all of the little extra architectural details is my favorite. 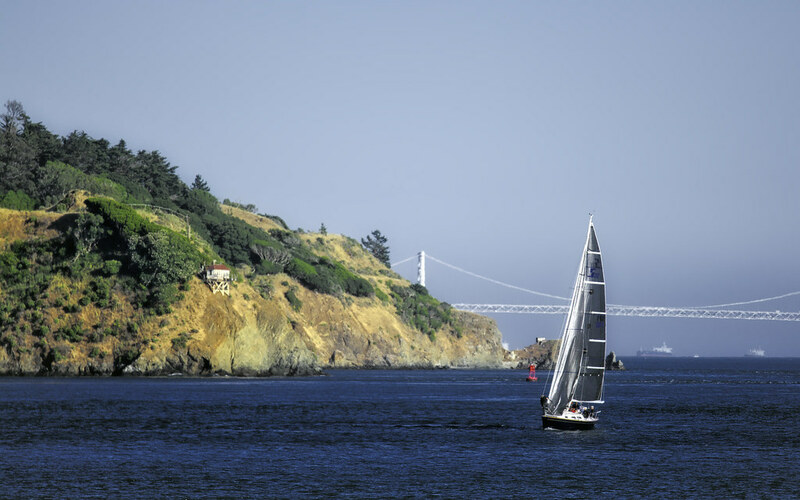 After a week doing science on a hilltop, I would sometimes sneak out of work just a minute early* and head across the Bay to Tiburon to watch the Corinthian Yacht Club’s Friday night sailboat racing. 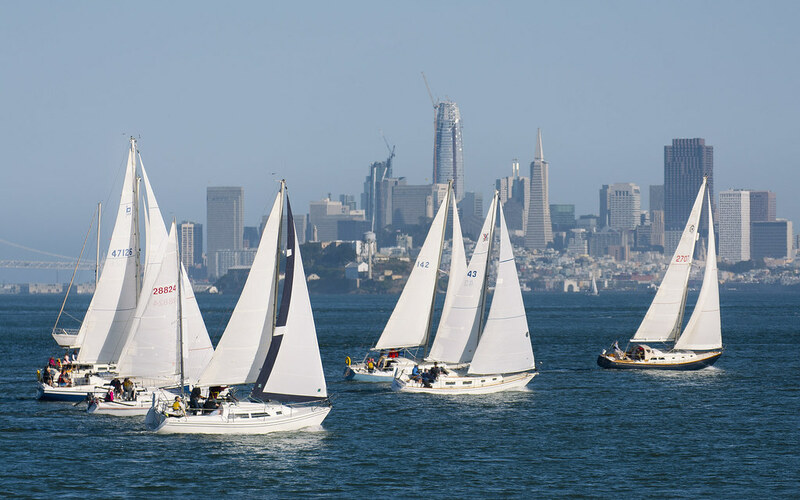 The lack of spinnakers implies to me that it’s a pretty friendly race, but it’s nonetheless a great way to end the workweek. *Though early by my standards is “regular” to most folks, I suspect. 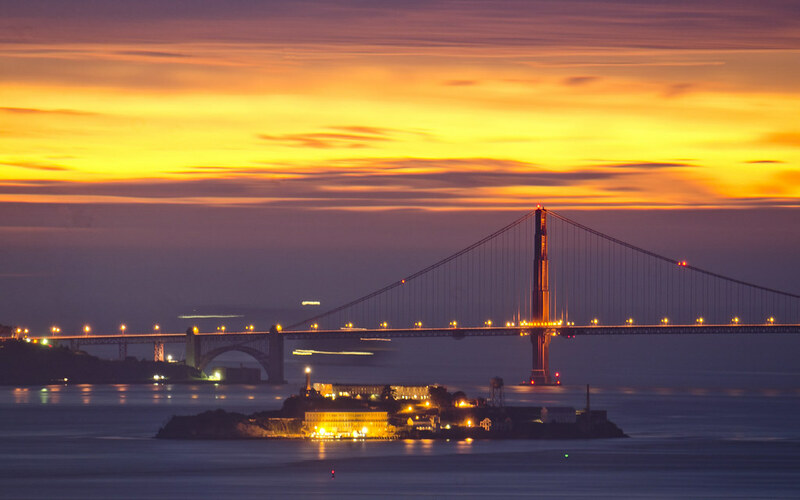 Sailing San Francisco looks like perfection on a warm evening like this one.